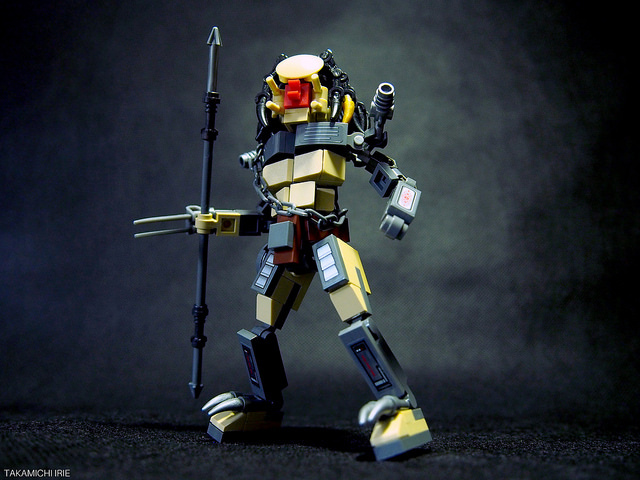 We’ve seen a few LEGO Predators in our time — from small-scale Predators killed by alien queens, to massive brick-built Predator busts — but this bad boy from takamichi irie is a cracker. Wonderfully detailed for its scale, this model features excellent posability and comes equipped with a lovely selection of armaments. The face is brilliant — immediately recognisable in a handful of pieces. However, the highlight is surely the torso — those abs look like the result of a whole lot of crunches during interplanetary hunting trips.